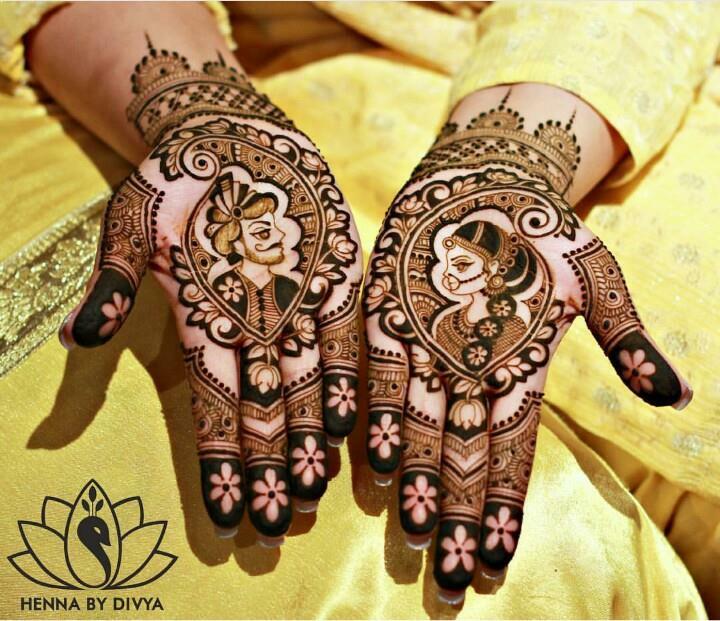 Bridal Mehndi Designs: Adorning mehndi on hands is a tradition amongst ladies during festivals and ceremonies. 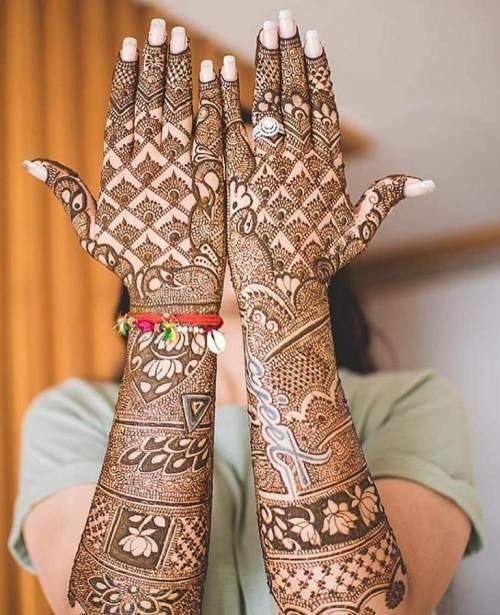 Bridal Mehndi designs are applied for brides during the sangeet ceremony. 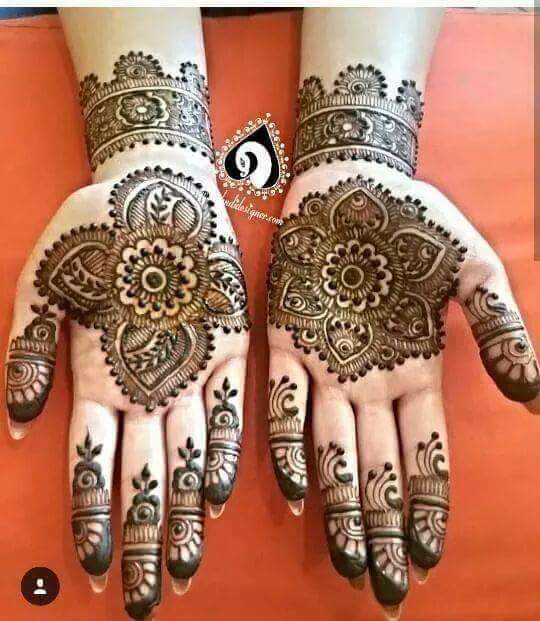 They are usually applied on hands and feet. 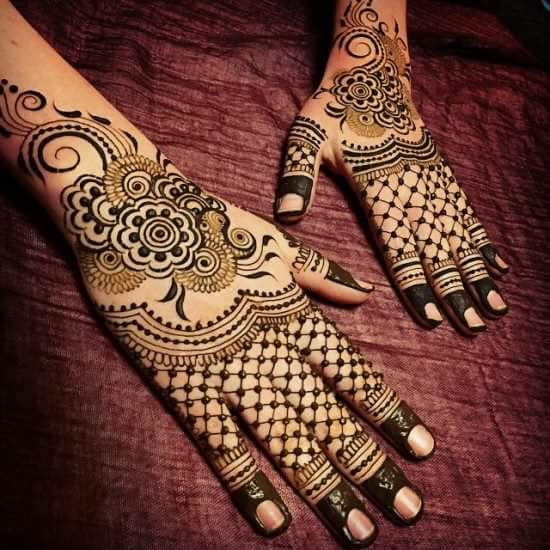 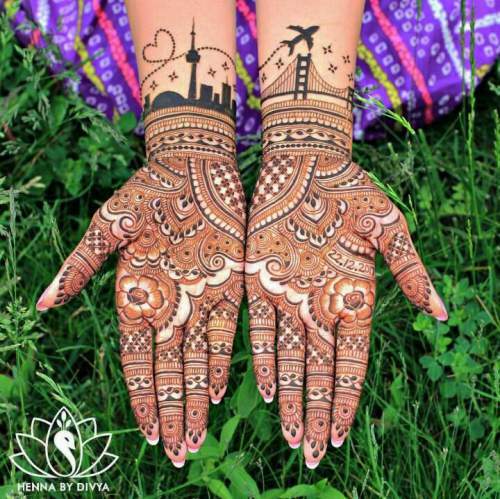 There are different types of mehndi designs like arabic, traditional and many more. 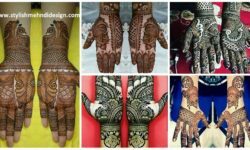 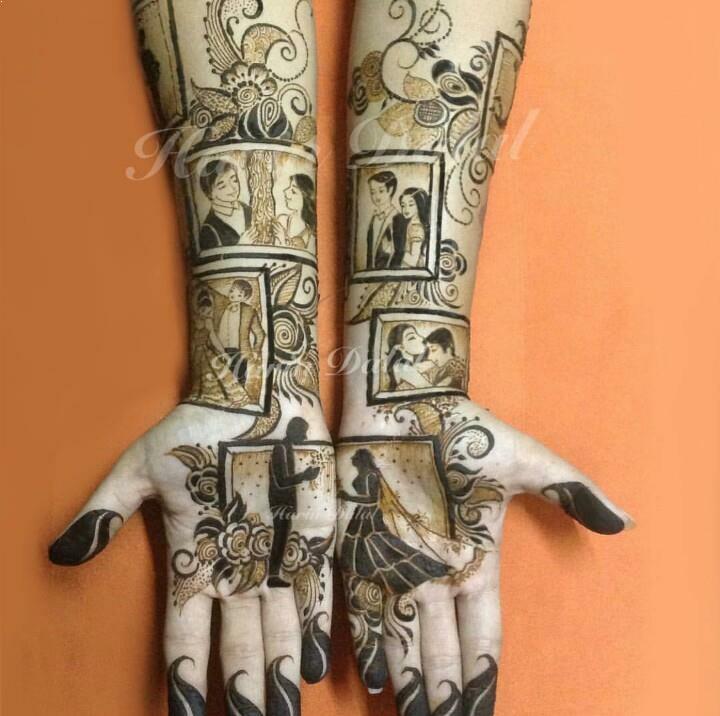 Usually bridal mehndi designs are very intricately drawn and every lady family member gets to draw on the the brides hands. 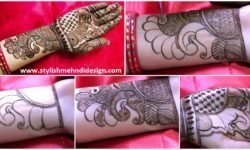 Nowadays professional mehndi artists are invited to decorate the bride with mehndi designs. 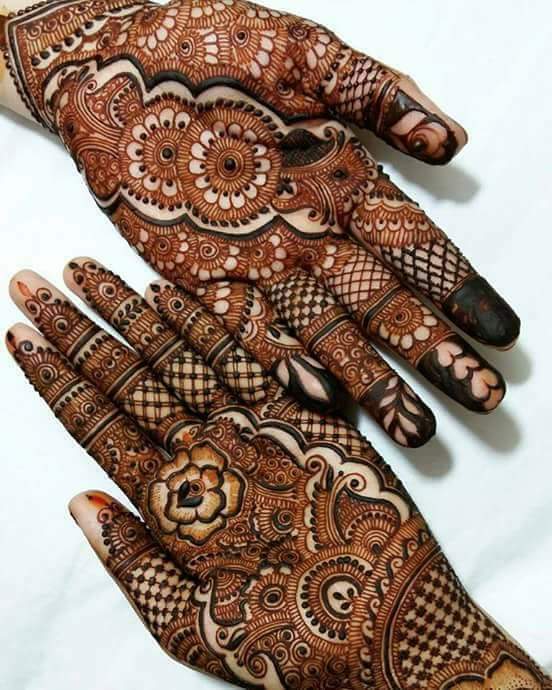 In some parts of India, men also wear mehndi designs during their weddings. 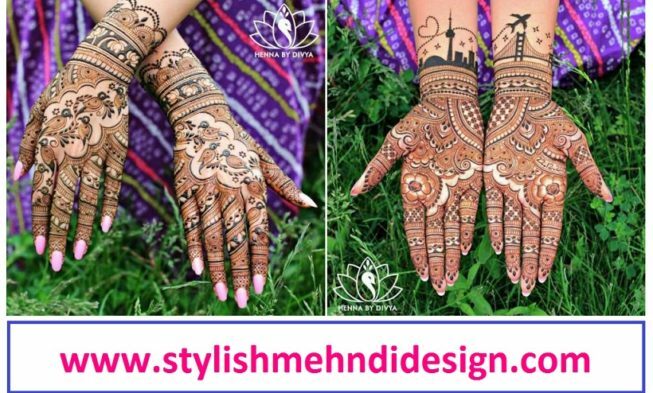 Did you know that mehndi is a coolant? 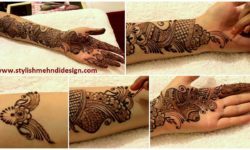 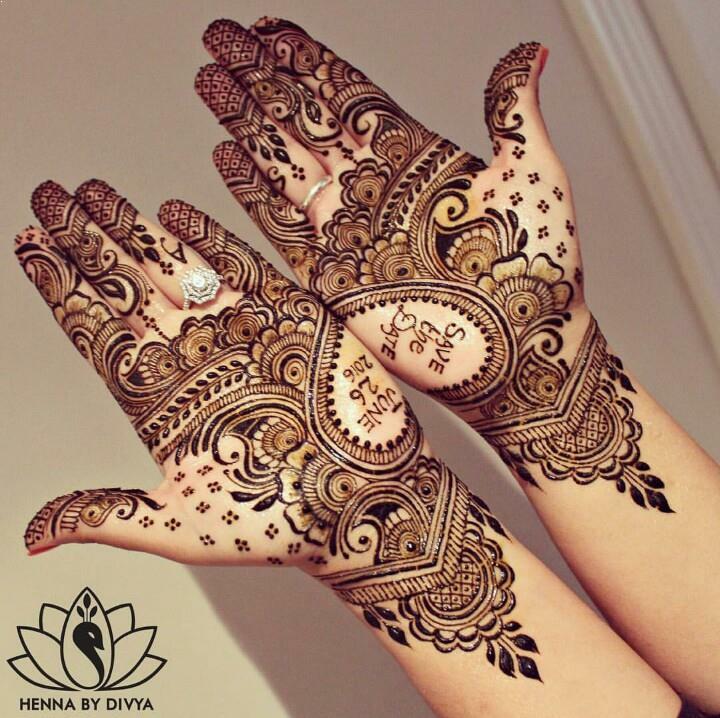 Mehndi has various uses like conditioning, coloring and even for henna designs. 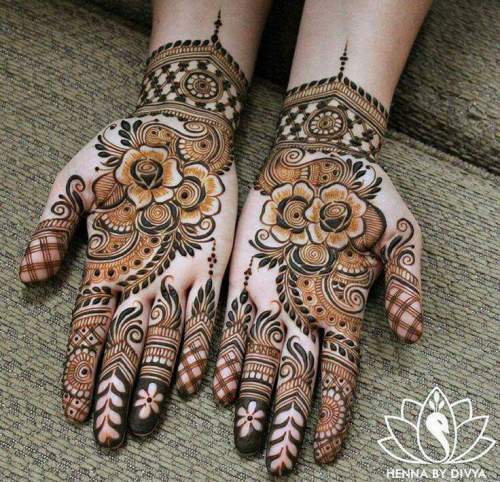 Bridal mehndi designs are sometimes colorful with black and red henna along with some glitters. 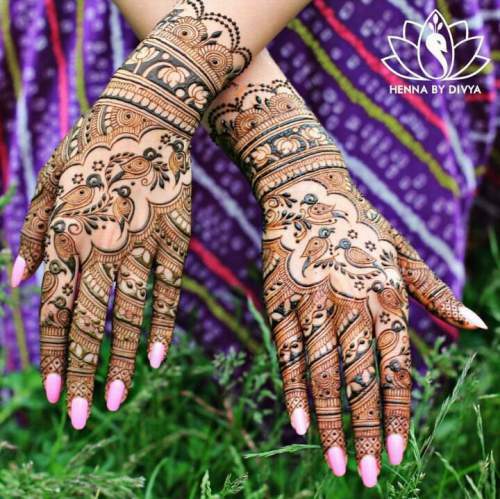 Here are some beautiful bridal mehndi designs for your inspiration, you can also add in your own designs to make it look even more amazing.